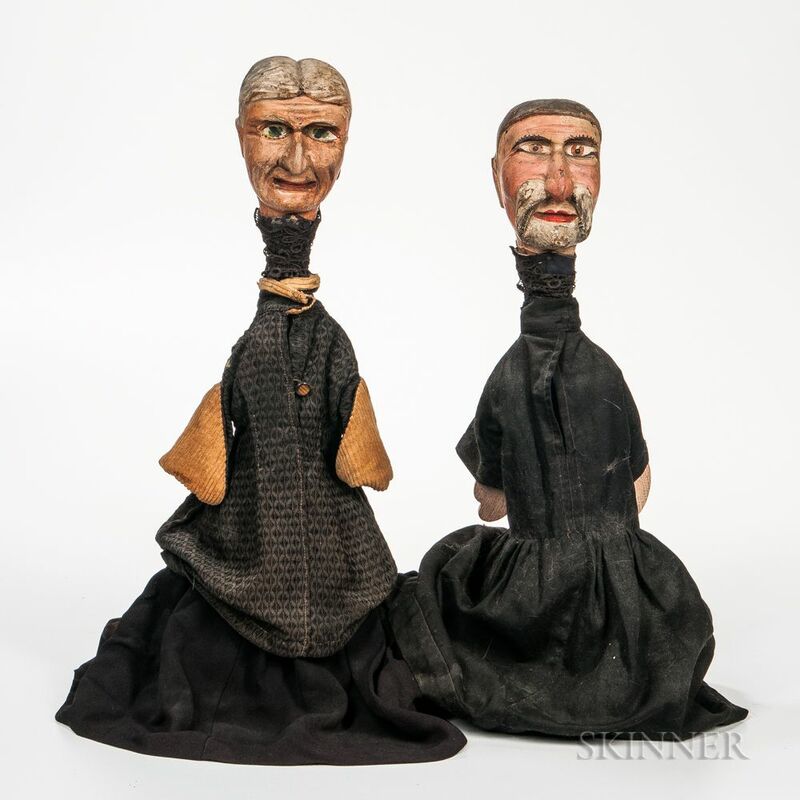 Carved and Painted Man and Woman Puppets, possibly New York State, 19th century, dressed in black clothing, ht. 23 in. Provenance: Judy Milne, January 28, 1979.